Have you ever visited a modern-art museum, and felt confused about whether or not something was art? If so, you&apos;re not alone. Cleaning staff mistook an installation at Italy&apos;s Museion Bozen-Bolzano for actual garbage, and accidentally threw it out over the weekend. Called "Where shall we go dancing tonight?" 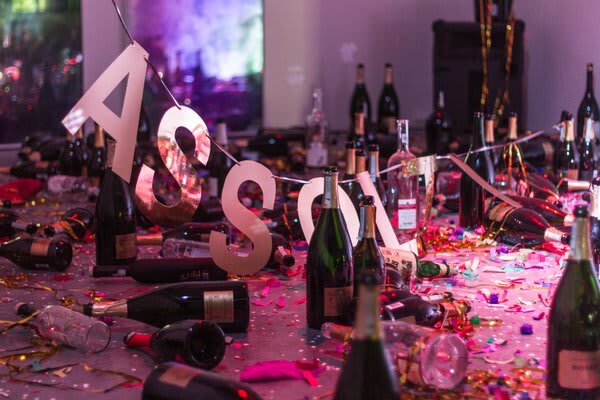 the installation featured empty champagne bottles and spent party poppers. It "intended to invoke the consumerism, financial speculation, mass media, and parties of the 1980s," according to Reuters. But to cleaning staff, the installation just looked like the aftermath of a party. The installation reopened on Tuesday, and Museion&apos;s director is taking the blunder as a cue to encourage the public to discuss modern art more frequently. "It has sparked a great debate," director Letizia Ragaglia said. "It all goes to show how contemporary art is capable of arousing great interest, or even annoying people. We believe it is essential to keep this dialog open." However, the artists who created the installation, Sara Goldschmied and Eleonora Chiara, were a little miffed. "What happened was bad. It cannot be possible for an installation to end up in the rubbish bin," they told Italian newspaper Alto Adige. The blunder calls to mind a 2014 incident in which a cleaner accidentally discarded the work of artist Paul Branca. As an ingenious Tumblr user put it, "If modern art is supposed to challenge the viewer by posing the question, &apos;What is art, really?,&apos; it needs to be prepared for viewers to answer that question." And clearly, the cleaning staff at Museion thought: Not this.